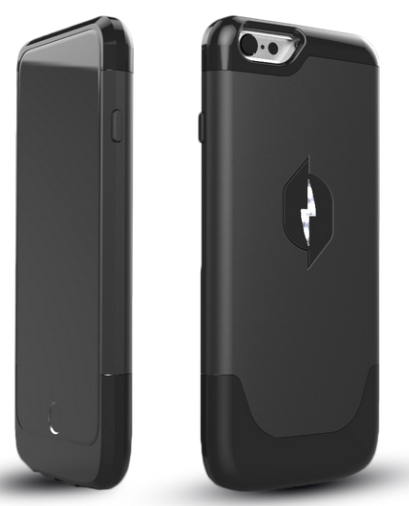 An innovative startup Nicola Labs will soon launch an iPhone case which can harness power from Radio frequency emitted from your phone and extend your battery backup. Dr. Ron Lee, Co-founder of Nikola Labs and former chair of Ohio State’s Electrical and Computer Engineering, explains that 97 percent of the energy phone spends in voice and data communication is lost in air. Nikola’s innovative case will harness this energy from WiFi, Bluetooth, FM Radio and LTE and convert it to DC current, which will in turn charge your battery to prolong backup. The principle makes sense as every Radio Frequency receiver turns received signals to electricity. But will a simple case be able to do this with noteworthy efficiency? How much can you actually harness from this waste radio frequency? Well, Dr. Lee claims that you can harness 90 percent of the energy wasted and can extend battery backup by 30 percent. This should indeed be impressive and exciting, if true. The case will charge your battery slowly in the background and thus the effect will be visible as slow discharging of battery rather than any sudden boost of power. There are no capacitors or secondary battery inside to store converted energy. This $99 case will be available on Kickstarter next month and thus, we will know soon enough if it will be effective at all in real world usage.